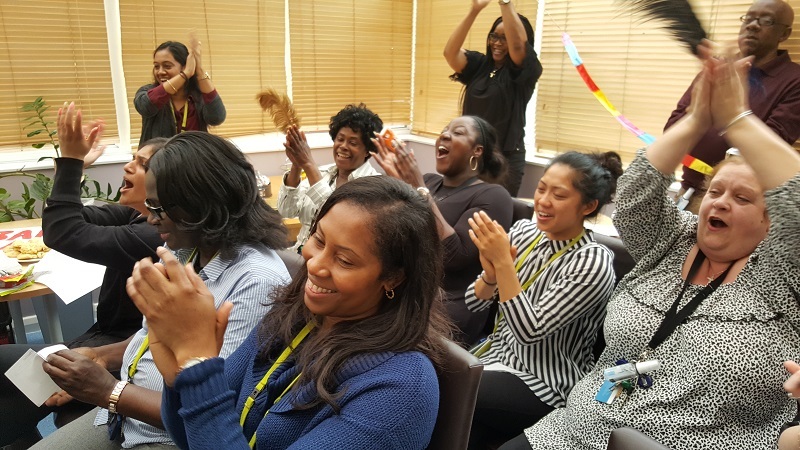 Cygnet Lodge Kenton recently celebrated Mental Health Awareness Week with a number of fun filled activities involving service users, staff and the local community. 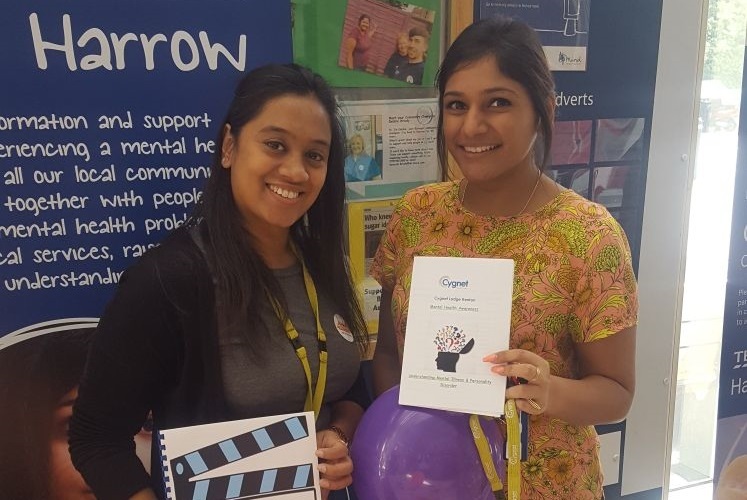 On Wednesday staff and service user attended an event at Harrow Tesco. Together with Mind Harrow and local MET police liaison officers the team had a stall to raise awareness of mental health issues and to promote good mental health. The following day the Lodge’s therapy team together with service users presented a wonderful concert. Called ‘Shine’ the concert was an expression of recovery through the mediums of drama and music. The theme song for the event was a song called ‘Colours of the Wind’. The concert was attended by everyone at the Lodge with colorful banners created to wave along to the music. 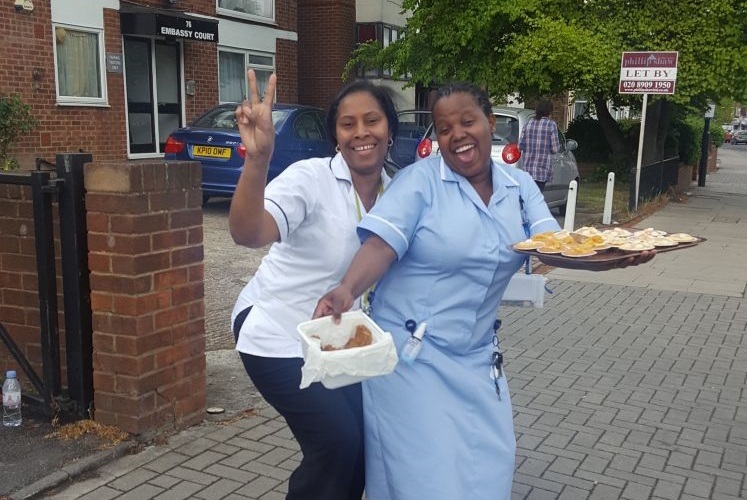 On Friday it was a day of dual celebration as it was also International Nurses Day. Service users and staff baked a range of delicious cakes for a Bake Sale. These went on sale within the Lodge as well as to passersby in the local community. The cake sale raised a total of £212 for Place2Be, Cygnet’s nominated charity for 2017. 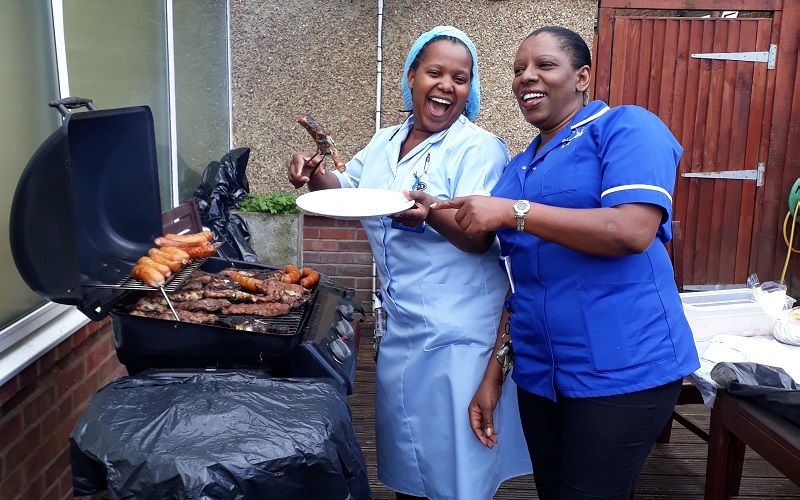 The nursing team also cooked up a tasty barbecue and staff had fun wearing traditional nurses outfits. All in all it was a great week with some great examples of service users and staff working together to promote mental health awareness.